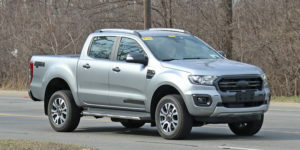 Ford’s new generation Raptor is just behind the corner, so you can reconsider the trims and prices before you decide to buy the amazing pickup truck. Yes, we have the prices of the 2017 Ford F-150 Raptor, and yes these are the official figures. The starting price of the 2017 Raptor SuperCab is $49,520, while the larger SuperCrew model starts from $52,505. These prices include the $1,195 delivery and destination fee. In case you want more equipment, you can add the a Technology Package, which is $1,950 more, or even a Luxury Package, but this will cost you $9,345 more. There is also some optional equipment, that can be added, but this will make new costs. For instance, you can add a remote start, which adds $195 on the starting price, or LED cargo bed lights ($125), while the pro trailer backup assist cost $395. The most expensive optional part is a power-sliding rear glass ($450). 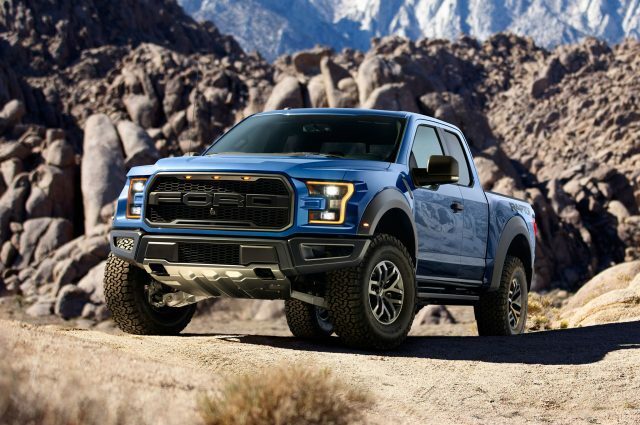 The all-new Ford F-150 Raptor is about $5,000 more expensive from the outgoing model, but taking into account what you will get, this is nothing. Let’s remind you that there will be an amazing 3.5-liter twin-turbocharger V6 engine with 450 horsepower, as well as the smooth shifting 10-speed automatic transmission. Also, we have to mention the new and outstanding chassis and aluminum construction. If we calculated correctly, the range-topping and fully loaded 2017 Ford F-150 Raptor will cost below $65K, which is still nothing compare what you can get.